World Clubfoot Day was introduced in 2013 by Ponseti International Association and is celebrated on June 3rd every year. This date was chosen following the signing of the Iowa Clubfoot Declaration during the 2nd International Clubfoot Symposium held in Iowa City, Iowa, USA, on October 4 – 5, 2012. The date commemorates the birthday of Dr. Ignacio Ponseti, M.D. 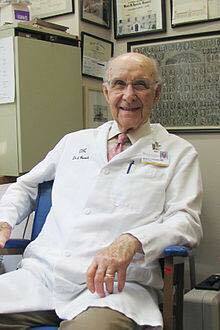 (1914-2009), the developer of the Ponseti Method to treat clubfoot.